Book Description: A historical novel based on the events of the time, historical records, and family stories of our ancestors and how the struggles, adventures, and travels of 4 families culminated on a ranch in Cherry County Nebraska. Author bio: I am a retired Army Non-Commissioned Officer, and a retired Chief Operations Officer for a Real Estate Management Firm; who after serving my country and raising a family decided to return to school to achieve the education I’ve always desired. 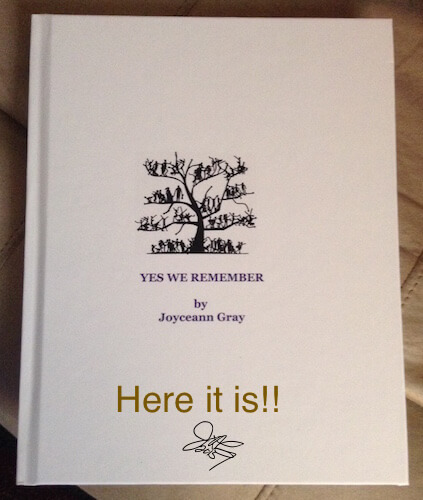 I am now the family historian and genealogist and have written volume One of “Yes We Remember.” A historical novel based on the events of the time, historical records, and family stories of our ancestors and how the struggles, adventures and travels of 4 families culminated on a ranch in Cherry County, Nebraska. Of late, I have presented before the African American Historical Genealogical Society Convention-Oct, 2015 in Richmond, VA. Also, presented to the Middle Potomac History Researchers at the Josephine School Community Museum in Berryville, Virginia. 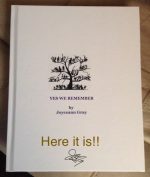 I have recorded this presentation and posted this and much more on my website www.jgraydiscovery.com. I am also part of a team of four that did the necessary research and fundraising to have a Historical Marker placed on Highway 83, Nebraska in honor of the town DeWitty, the largest and longest lasting African American Town in the history of Nebraska. Our Ancestors were those homesteaders. Although the town is gone it was built close to Brownlee (“pop. 15 or so”- says the town sign) the cultural union between DeWitty and the all-white town of Brownlee has lived on in each generation and is as strong as ever. I am married to my best friend and the best husband ever; we have 5 children and 7 grandchildren! You need to know where and from whom you came from in order to know who you are and where you are going!